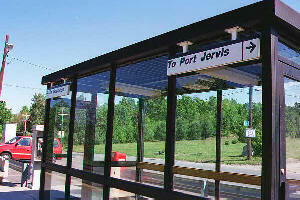 The train did not slow down anywhere near Port Jervis. That's how I ended up in Shohola. 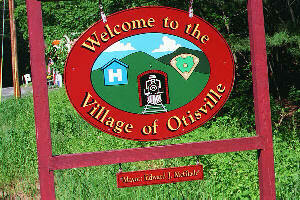 Anyway, Otisville has been the family's point of debarkation for years. 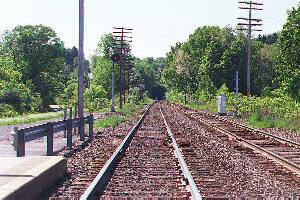 The routine is to have a relastive meet us at the station and drive us over the mountain to the house. 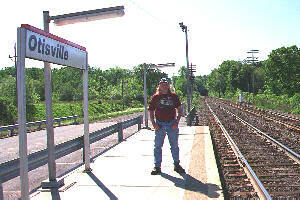 Otisville actually has something of a station now. These photos show it, along with the infamous portal that should have gotten me to Port Jervis but instead was a one-way ride to Shohola. Wow! Now they have a shelter!